MY accas profit has almost been wiped out after a poor weekend when many sides who needed to win simply didn't turn up. Yesterday it was Champions League chasers Getafe and Eintracht Frankfurt who left me feeling frustrated while a lack of goals beat me on the overs treble. Plenty of winners though and well done if you were one of them. I did better on the Masters though. Pre-tournament I tipped Francesco Molinari but all weekend I've been banging on about Tiger Woods being his main challenger. I advised cover on Tiger yesterday and as Molinari collapsed it was the former world No.1 who emerged to claim his first Major win in 11 years on a thrilling day of action. One of the four golf bets I put up for the final round one was a loser, one was void and two were winners. And well done to all of those who won free bets in our Masters contest. Tonight there's an interesting game between FA Cup finalists Watford and Arsenal who will be back on Europa League action on Thursday defending a 2-0 lead at Napoli. In Serie A it's Atalanta v Empoli while Real Madrid travel to Leganes and in Bundesliga 2 the top two meet as Cologne take on Hamburg. Was working late last night and had a meeting in the morning so apologies for the late tips. Looking at tonight's games and a couple of stats stand out – although they don't always mean anything when you consider the figures I posted for yesterday's reserve game at Utrecht that finished 0-0. Anyway I'm a stats and form kind of guy so let's go with both to score at Watford v Arsenal. We all know about the Gunners' poor away form but I wasn't aware they hadn't kept a clean sheet this season. Both teams have scored in their last eight in a row. Five of Watford's last six have brought up this market and the last three meetings at Vicarage Road have gone over 2.5 goals. Add both to score at Leganes v Real Madrid. Both have scored in Real's last eight and Zinedine Zidane will be looking closely at players' performances as he shapes his squad for next season. Real could win this but Leganes have been in decent form and look safe after taking seven points from nine. Mauricio Pellegrino's men beat Real 1-0 at home in the cup in January so won't fear the opposition and have scored in three of their last four at home to the giants. Finally, complete a treble with Atalanta to beat Empoli at home. It's Champions League chasers v relegation battlers – similar to the Eintracht game – but Atalanta have nothing else to focus on and face a side with just four points on the road all season. The home side should win this by at least two but for the treble I'm on the straight win. Arsenal have two games in hand over Chelsea win those and they can go three points clear of Chelsea in the top four,easier said than done as Arsenal’s away form is not the best only winning 5 of 15 played.Watford love to play a big side and goals usually flow when they do.Arsenal’s last away game at Everton was shocking their performance was nothing short of embarrassing so if they were take anything from this game then they have to be a lot better and i can’t see that happening so the Value is on the homeside to win at 9/4.personally i think this game will have the lot penalties etc.Correct Score 3-2. My bet was void as I stated. I bet without the draw and in fact some bookies don’t even offer draw as an option. Anyone who knows me knows it’s either player to win or void. I will emphasis it next time. I assume you could have taken draw. Watford have 5/5 wins at home so think arsenal definitely have a battle here. Had a couple of booking bets up at Hampden, more or less breaking even on the day. Disappointing yesterday after the 3.6/1 corner double winner was wiped out courteousy of a 35th minute Petrolera red but that’s the danger of betting in Bolivia – to be fair, the reds can go for you as much as they go against you over time. Rubbish from me yesterday, 1 out of 4 won meaning a total of 6 out of 11 winners Friday to Sunday. A few bets for me today. I think the cards bet is maybe the best value but basically looking at level stakes. Also following Greg and others on the reserves + a few of the other regulars. Gl all! Dabrowski, Whittaker, Spector, Johnson, Mackie, Bartley, Agyepong, Bigirimana, Gauld, Allan, Shaw. will be on O1.5 FHGls for Hibs game Greg, cheers. double for tonight. EPL game already been fully covered, but the game in Italy isn’t completely going to go Atalanta’s way. They’ve been very leaky at home, including conceding to table-dwellers Chievo. Empoli have a goal in them, and I think they’ll nick one tonight. Early one for tomorrow in the Serbia Cup Red Star v Mladost Lucani. Red Star are 1/10ish to win and have won 11 of the last 13 H2H meetings drawing the other 2 but Mladost Lucani have managed to find the net in 10 of those 11 defeats and scored in both drawn games. Going along with macca with his penalty at Watford v Arsenal. 14/5 Betway . Going on Arsenal’s terrible away record this year , the fact Madrid are struggling for consistency. Think it could be worth a amp stake double. .thats my wee double 2 singles. Small stakes. Worth a wee punt. On a Monday. Watford O2.5MGLS + Madrid game Over 1.5 MGLS. Nothing fancy bjt hopefully effective. All down after a poor night which I think caught most out. Onwards and upwards! st pats game 0-2 already cover u2.5mgs 6/1……………..
Just saw it. Crazy – and almost certainly kills the btts bet. 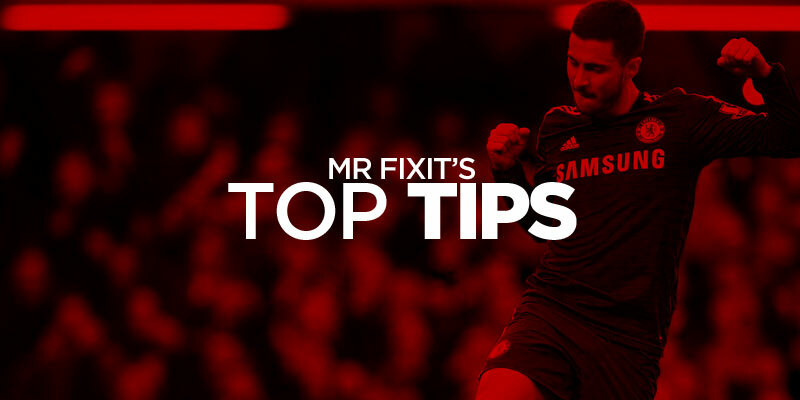 Saw a lot of Watford or Watford dnb tips too and they’ll be struggling. st pats overs 6/4 WON 1-3 before ht…………….. gallus…………..
Atalanta 10 shots on 16 off and no goal. Is Dea Gea in between the sticks for Emploi? 34 shots from Empoli – no goals. Shocking. Not much at all from Real that first half, but do expect a big second half. Odds are decent for Overs. scratch that… goal disallowed ! Finishes 0-0 if only united had a defence like that. Cheers lads – Mossley were pushing for the equaliser at 2-1 which would’ve brought the DNB in but not complaining! I am still wondering why @aceofspades was questioning why this could possibly be a “Manchester Cup Cracker ?? ?” as he posted earlier. I can only assume he lives somewhere where he’s unaware that Greater Manchester has over 20 professional or semi-professional teams with a further 16 sides at semi-pro/amateur level who have eligibility to enter FA Cup football and a further 30 or so very decent and historically important amateur sides? That’s close to 70 sides within a 20 mile radius of City Centre and each of those sides have fiercely loyal and local followings who, quite rightly, are allowed a Cup Final should they be lucky enough to get one. No Arsenal bookings downs my bets at Watford. LOSERS .